Officials from the British GT3 racing series have rejected applications from Sony's GT Academy to race in the 2013 season. It seems that the drivers from the academy are just too fast. For those who are not familiar with Sony's GT Academy, it is a programme which gives video game players of its Gran Turismo series an opportunity to be a real life racing driver. 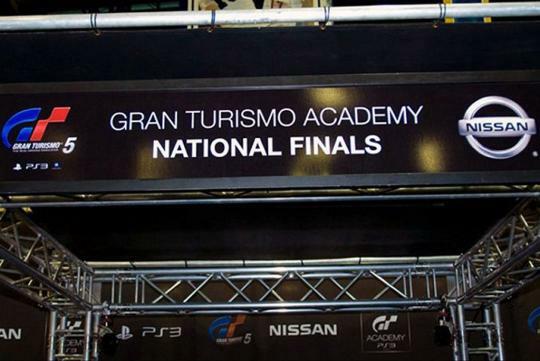 The GT Academy is the promotional brainchild of Sony Playstation Europe and Nissan was brought in to aid in this programme. Every year, since 2008, virtual life racers enter an online racing competition and the eventual winners will be given a chance to prove their skills on a real life racing track. The programme has been very successful and the first winner, Jann Mardenborough, participated in the British GT series in a Nissan GT-R with racing team RJN Motorsport. Competition rules dictate that a professional driver should be paired with an amateur driver and the amateur driver�s capabilities should be way off the pace of the professional driver. However, Mardenborough proved to be as good as the professional drivers and he almost took out the series with his team mate. Due to this reason, officials of the series have rejected applications from RJN Motorsport to field two cars with four GT Academy drivers for the 2013 season. Series manager, Benjamin Franassovici, mentioned that the GT Academy has shown that it is a great way to source for raw talent. However, the series could not accept their full season entry for the 2013 season. Franassovici added that the academy's new raw talent, with Mardenborough's speed last year, does not reflect this lack of experience and therefore it is not fair to put them up with the professional drivers. To me, in other words, what they are saying is that these academy winners are too good for the series and way better than the pro drivers. This just proves that virtual simulation racing could make you into a good racing driver.